How pretty is this Bible?! Of course the purpose of a Bible isn’t to be pretty, but useful in growing us closer to God by studying His word! 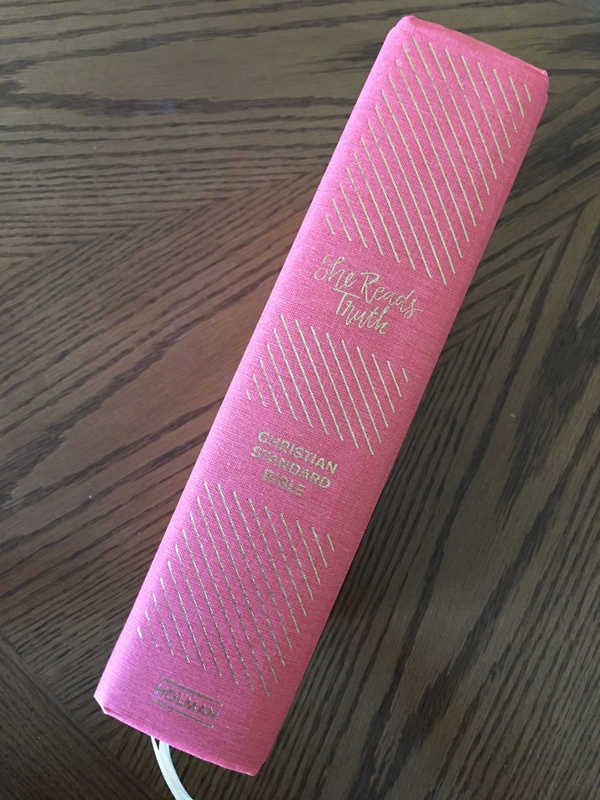 Fortunately the “She Reads Truth” Bible is both beautiful and useful and would make a great gift! 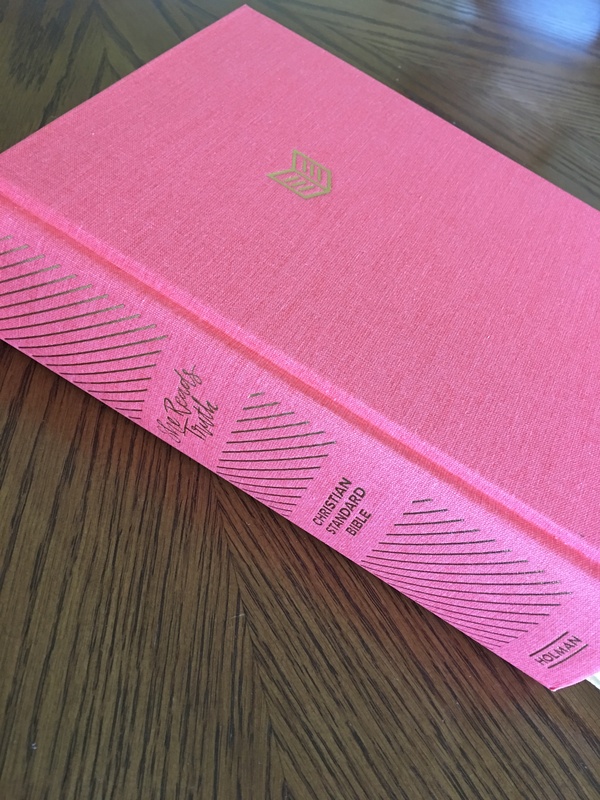 It has a coral pink hard cover with a canvas texture. It comes in a nice box you can store it in too. 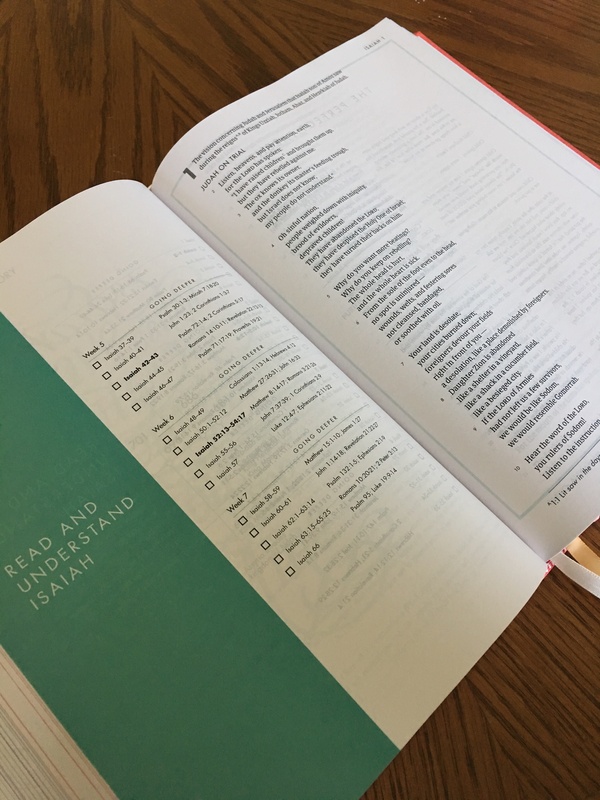 The features of the She Reads Truth Bible include: almost 200 devotionals, 66 artist-designed key verses, 35 full-color timelines, 20 full-color maps, 11 full-color charts, reading plans for every book of the Bible, one-year Bible reading plan, detailed book introductions, key verse list, carefully curated topical index, smyth-sewn binding, two colored ribbon markers, and wide margins for journaling and note-taking. I don’t want to debate biblical translations so I’ll just say if you prefer the King James version of the Bible, the Holman Christian Standard Bible probably isn’t for you. If you are interested in the differences there are many websites dedicated to pointing these out. 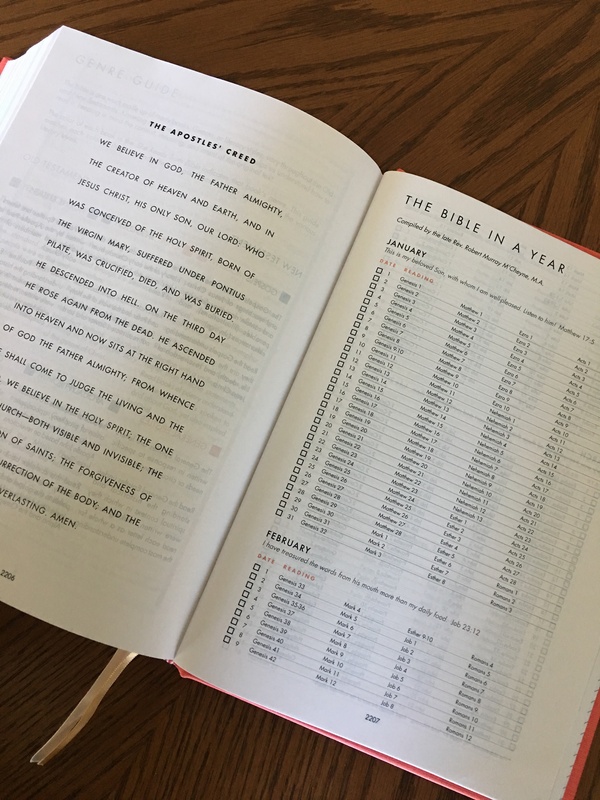 It is my humble opinion that God’s word, in any translation, is better than no Bible at all. 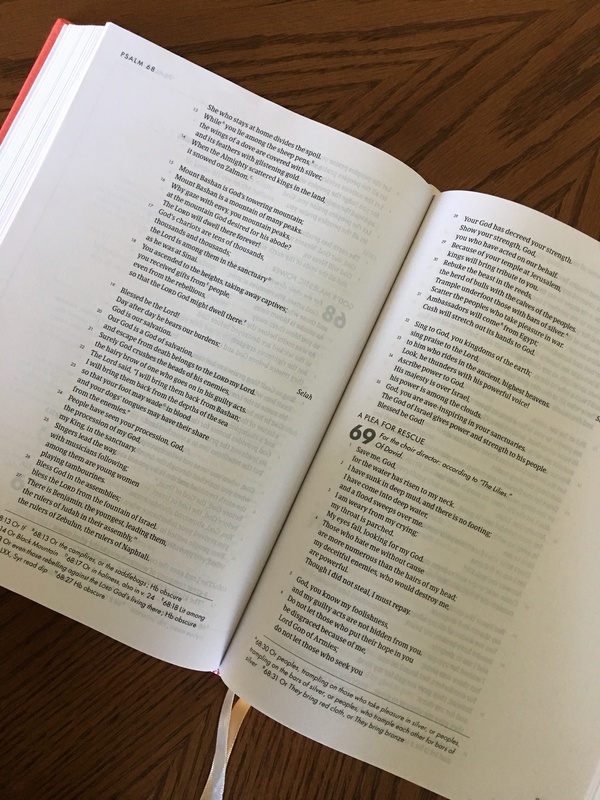 The HCSB is not my favorite or usual translation, but for the purpose of this review I have used it exclusively for several weeks. I used this with my daily scripture copying over the last few weeks. 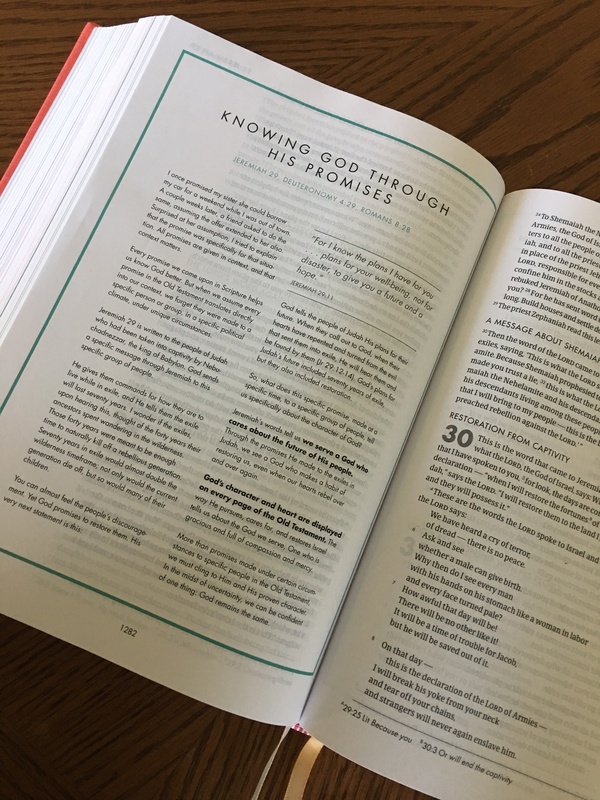 The print is easy to read and the extra devotionals and resources are so helpful! 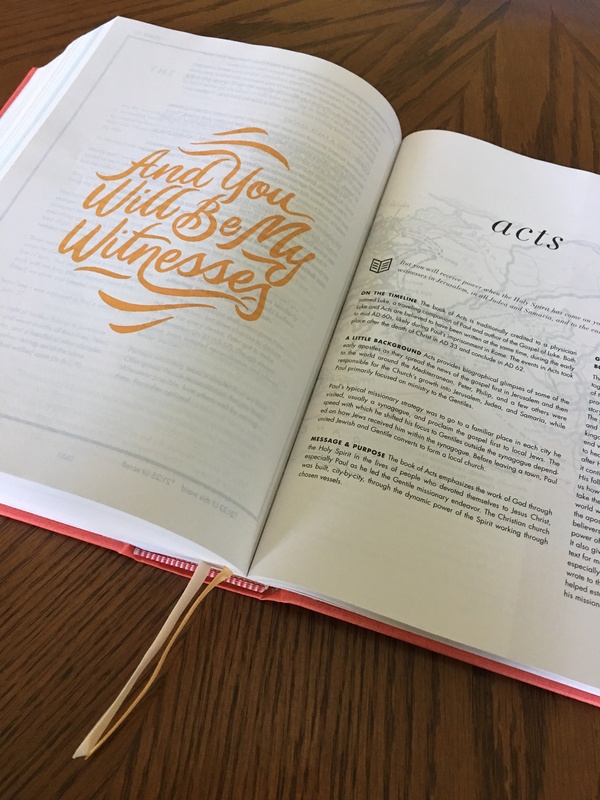 My only complaint is the pages are very thin – thinner than a usual bible – so the text and art is visible through the facing and backing pages. Overall I give this bible 4 stars. I was given this Bible to review for B&H Publishing by FrontGate Media. While I was given the Bible for free all thoughts and opinions are my own. For more information or to purchase the She Reads Truth Bible click here.